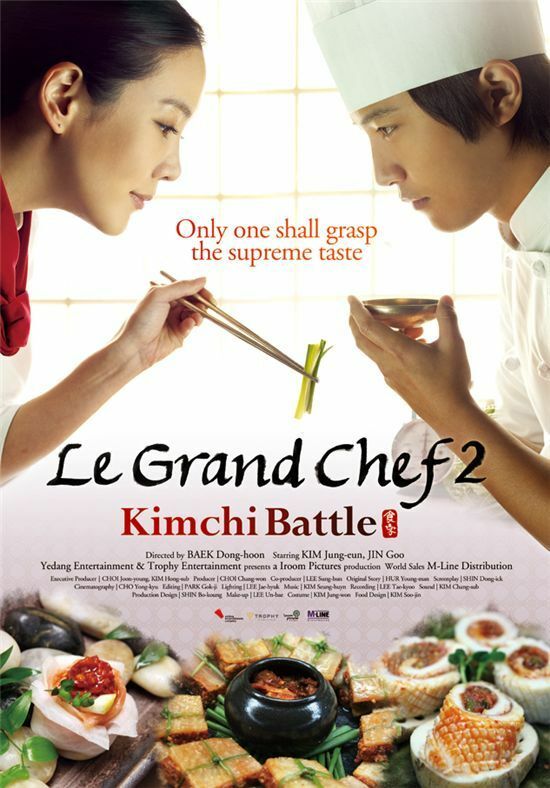 Korean film "Le Grand Chef 2: Kimchi Battle" ("Le Grand Chef - Kimchi War") has been chosen to open a Korean film fest in Los Angeles this coming March. "The reason we have chosen this film to open at the festival is that kimchi represents the specialty of the country and the feelings and sensitivity of a Korean", an official with the Korean Film Festival in Los Angeles (KOFFLA) explained through a press release on Thursday. A premiere event will also be held for "Kimchi Battle" and the film will be shown at the Egyptian Theater during the fest to be held from March 4 to 7. KOFFLA, launched by the official Korean Film Council in 2007, is led by festival director Chung Chang-hwa. He is a world-renowned Korean action filmmaker who helmed film "Five Fingers of Death", the first Korean movie to reach No. 1 on the U.S. box office in 1972. "Kimchi Battle" is based on the popular comic series by artist Huh Young-man that stars Korean actors Jin Goo and Kim Jung-eun as two chefs competing in a kimchi competition. The picture is set to be released in Korea on Friday and will also be shown in movie theaters throughout the U.S. starting next month. [PREVIEW] SBS TV series "OB and GY"